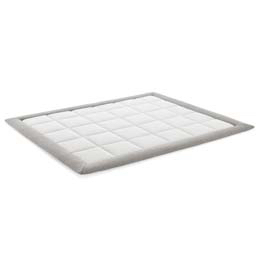 The state-of-the-art in a good night’s rest that merges technology with design. Hybrid represents the evolution of the species for its ability to unite the latest technological research with elegant design. Four solutions are offered in the latest colours. The elegance of black graphite, the grit of blue denim and the shades of pearl grey. The Hybrido collection is distinguished by its customisable cover, concealed zipper and tone on tone trimmings. Exceptionally small micro springs provide just the right amount of support and Eco-Memory Evoluta foam symbiotically wraps the body. 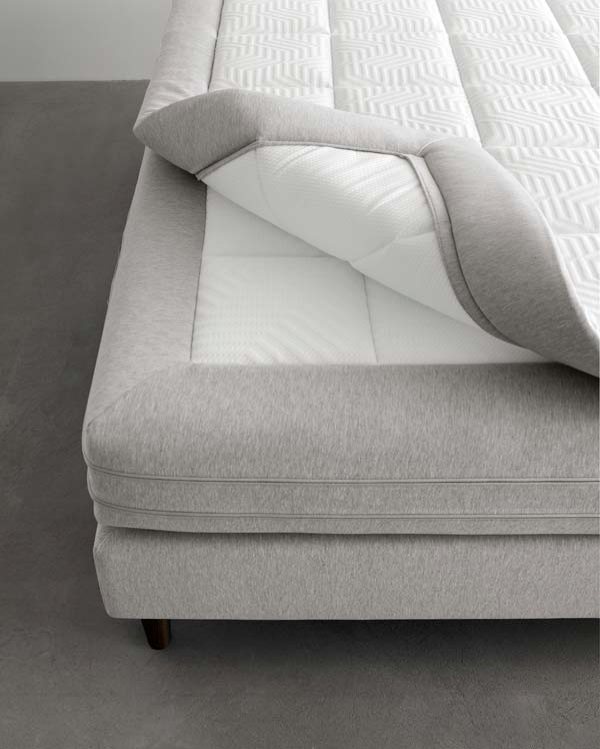 The balanced support offered by micro springs is combined with a layer of Eco-Memory Evoluta foam that mirrors the forms of the body. 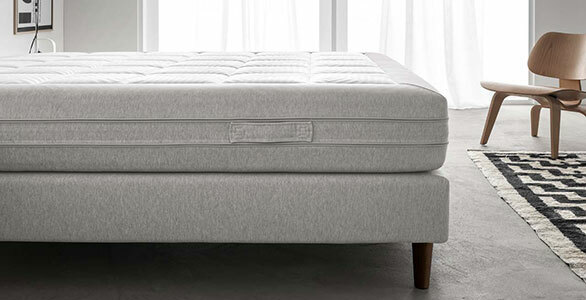 This “double” independent pocket springs of this innovative mattress offer progressive support as body weight increases. 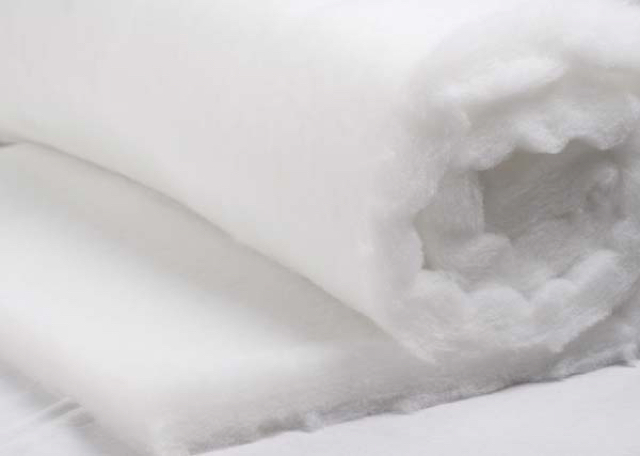 Independent springs naturally respond to body pressure and panels of Eco-Memory Evoluta foam delicately wrap the body. The mattresses are certified by ErgoCert, the Independent Certification Body that tests the ergonomic characteristics of everyday products. 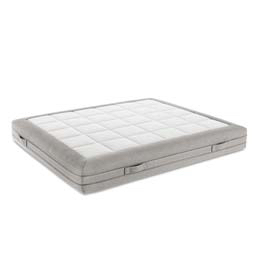 Furthermore the mattresses from our Hybrido collection are certified Class 1 medical devices. Dacron® is a hypoallergenic and highly breathable padding made of hollow fibres with 4 parallel openings that guarantee optimum air circulation. 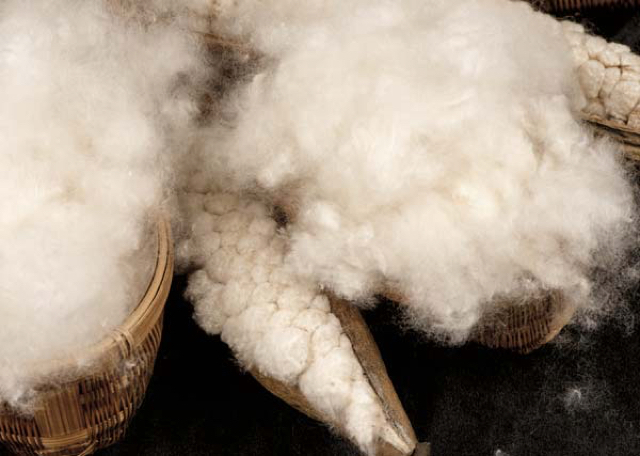 A “vegetal silk” made from the fruit of the tropical Ceiba tree, Kapok is a lightweight, elastic and naturally anti-bacterial fibre. The Hybrido topper improves the comfort of a good night’s rest. Like the mattresses from the same collection, it features quilted embroidery and matching piping.